Too complex package for me. Complete and very up to date. Down-rating a product because it is not 'lite'? Haven't tried 1.7.5's beta, but 1.7.4 works fine for me on XP and Server 2003. I currently use it to run a local development server, and it works great. With some time and manual configuration, you can even add extras like PostgreSQL to it quite easily. What ever happened to the "Lite" version. 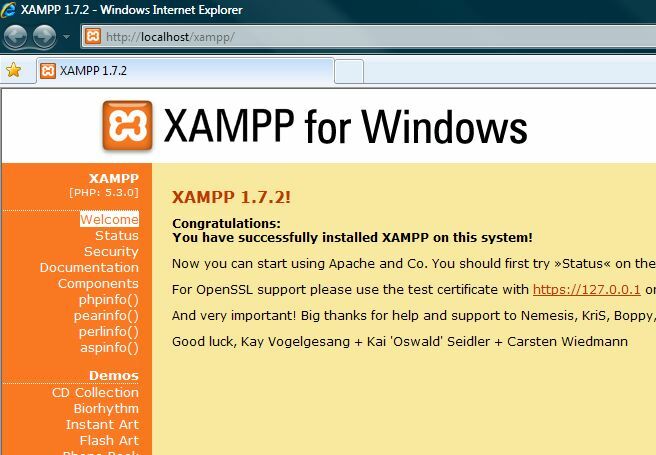 XAMPP was always the best WAMP stack but is too big for my needs. UwAmp (http://www.uwamp.com/) seems a better option. v1.7.4 has no real Windows 7 support at the moment. Yes. And with 99.9% chance yours. This is actually a great application, or pack, for those not wanting to test it out on a webhotel, or finding this easier. I have always prefered this over WAMP and LampStacks. Will this work for Vista? Good program useful to test websites locally to save time. This makes installation of the included programs very simple. I would recommend at least trying to install them separately first if you are new to them, rather than always relying on a package like this, so you can at least understand a bit of what it's doing. 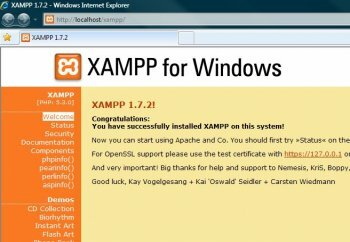 I have been won over by the WampServer package and use that instead now; I would recommend trying that, but when I did use XAMPP I didn't have any complaints. Disregard ZombieREA review: this is NOT for IT people, and this in NOT for people who need to update every single component with the latest beta. In fact, anyone who bothers reading the program description at all would see that the goal of this package is the total opposite, i.e. it is for people who don't know or can't bother installing and configuring a web server down to individual components and tweaks to match very specific needs. For what it is aimed at (again, please read the description), it does an absolute brilliant job, and thus I give it a well deserved 5. First thing: AIO pack is not gud idea for ITers. Because you don't know exactly what did they put in pack. Next thing: You should install these things by yourself that you can handle all of its. And last thing, you can update for each programm that you want, don't need to wait until next pack. been using for 6 months now and it makes developing and testing websites so much easier. if it works in my local xampp environment i can be 99% sure it will work in any remote environment with PHP 5.x and MySQL 5.x and that simplifies things so much!